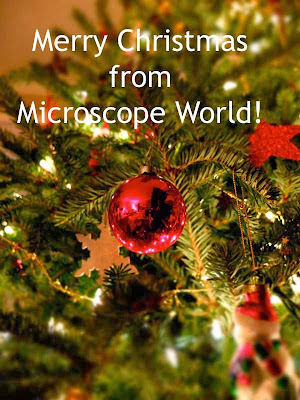 Merry Christmas from all of us at Microscope World! Here is what your pine tree needle looks like under the microscope at 400x magnification! 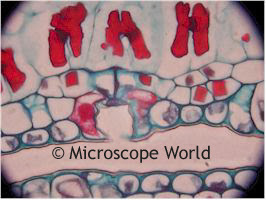 Cross Section of a Pine Needle under a student microscope.